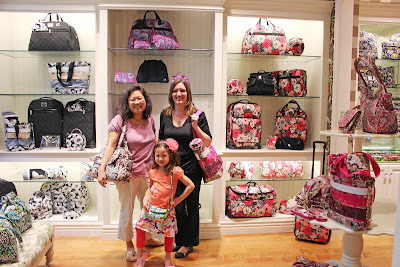 Fellow Vera Bradley lover and blogger Katie from Katie's Nesting Spot sent me some great photos from her last visit at the Vera Bradley store at Somerset Collection. The Somerset Collection is her favorite Vera Bradley store even though there is one closer to her home. I know how she feels, I think that my favorites would have to be Roseville in CA and Tyson's in VA. Those stores arent the closest to me, but the ones where I feel the most welcome. Sometimes you just love the women at a store and it is nice feeling to walk in, see familiar faces and be welcomed. This is what Katie got with her birthday coupon! I love Folkloric! Thanks Katie for sharing your photos! And hello to the staff at the Somerset store! They look like beautiful stores. I keep hearing about this "birthday coupon". How does one get this? I've shopped Vera for years, retail and online and have never had one. U need to register yourself at retail or outlet store...Once U r registered in their systems,you will start getting $20 off on $20 or more purchases...I just got mine ...Happy Shopping!! oh I love the people at the Roseville store! They are so nice. They always remember what I've purchased and sometimes they help me out with some deals since they know I'm in there all the time. They are the best! 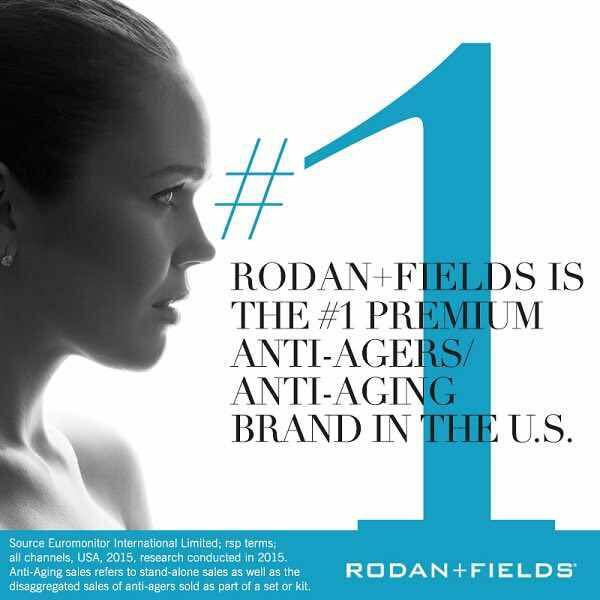 How can we help you and they truly love their Vera!! It's so much fun to just stop by and talk Vera!! You're welcomed like family and these ladies know their Vera! I know what you mean... 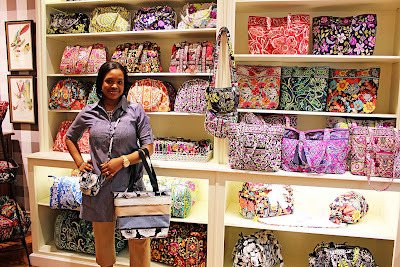 I love the Vera store at Watters Creek in Allen, Texas. The ladies there greet me like Norm on Cheers when I walk in the door. You know you buy too much Vera when that happens...lol!! Thanks for sharing :) I missed seeing this earlier because on the 2nd we'd just gotten back from MO. Just now catching up on my blogs, after a full Spring Break.